Welcome to Frederick’s emailing tool! This marketing feature will allow you create your own emails with pictures, texts and links to keep your client’s up to date on what is happening at your business. Build an email with Frederick in 3 easy steps! Choose your template, add your content and schedule it to send. Announcement: Use this template if you want to get the word out for an upcoming events or for a new service you’re offering! It’s easy to send your customers new information with this template. Newsletter: Keeping your clients engaged is a great way to keep them coming back. Share some great tips and techniques with your customers using this template. E-Commerce: This template is a great way to showcase the products you’re selling at your store. Make sure to link your online store to allow easy purchasing for your customers! Now it’s time to edit your template! You’ll notice the templates are made up of individual content blocks and can be edited by hovering over them. On each side of the content block you mouseover, there are blue boxes with different symbols and functions. The up/down arrows allow you to change the order of your content blocks by moving them up or down. The plus icon will appear on the top and bottom of your selected block to add more blocks to your template. Whether it’s another text block, image or maybe just a spacer to make it easier to read for your clients, you’ll have many options! The X icon will allow you to delete the box. When selecting one of the + arrows the following box will appear. To add photos to your email, click on the image box. A pop up will appear that will allow you to upload an image and add an URL to connect your picture to a link. When clicking in the middle of a non-image box, you’ll notice editing options will appear. Description for the icons are listed below starting from left to right. Don’t forget to add the link to all of your social media by clicking on the individual buttons! 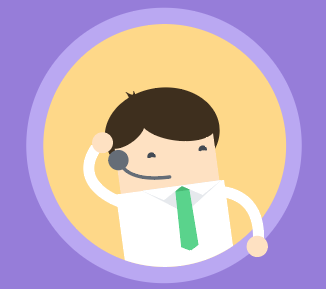 Before sending out your email to your customer, Frederick allows you to preview it yourself! Click on the “Preview & Test” icon to enter your email and send it to yourself! Now it’s time to give your campaign a name and schedule a time to send it to your customer base! Campaign Name: This name is for internal use only. It will appear on your home screen for your campaigns. Clicking Schedule will launch the email at whatever time you've set it at or you can click Save as Draft and Exit if you'd like to come back and finish it later.